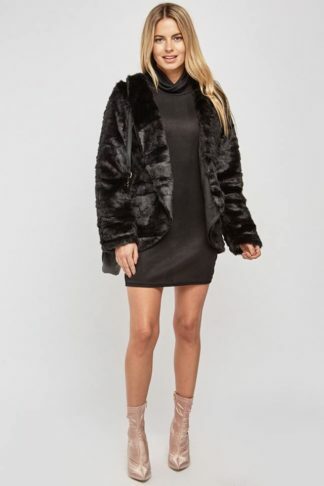 The Faux Fur Lapel Front Jacket is the perfect accessory to any little black dress. When out on the town and the cool Nairobi evenings draw in, this jacket will keep you warm and style you up. Faux fur gives a classy look and never goes out of fashion. Also available in plus size!